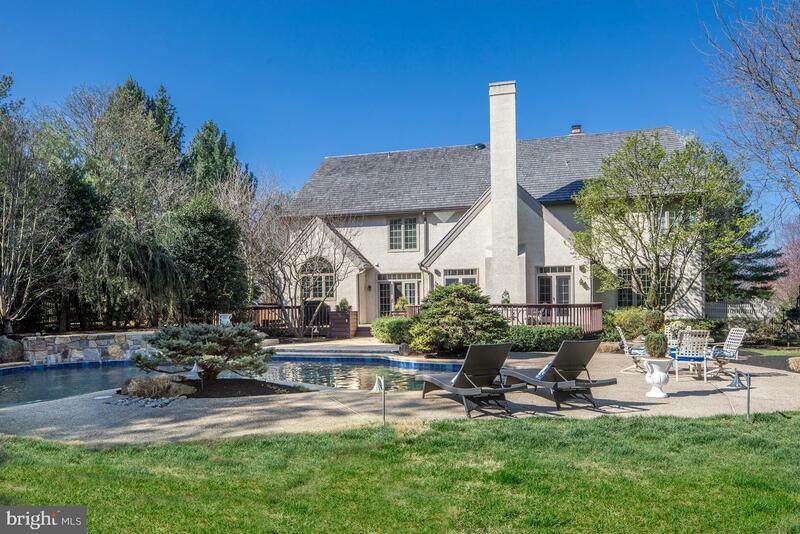 A truly pristine property, this striking 5 bed 3.2 bath home, well built by Chip Vaughn & meticulously maintained by original owners, captures your eye with its lovely Belgian block-lined drive, exterior of stone, stucco & wood siding, and new cedar roof with beautiful sloping lines. 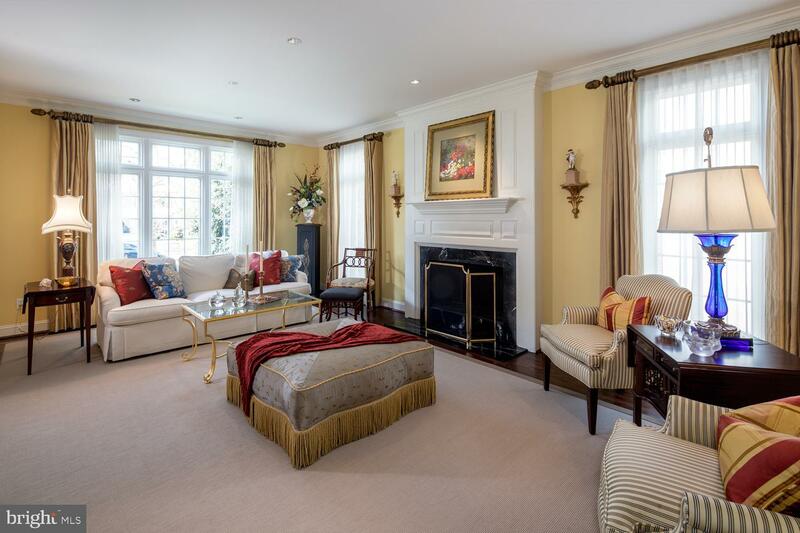 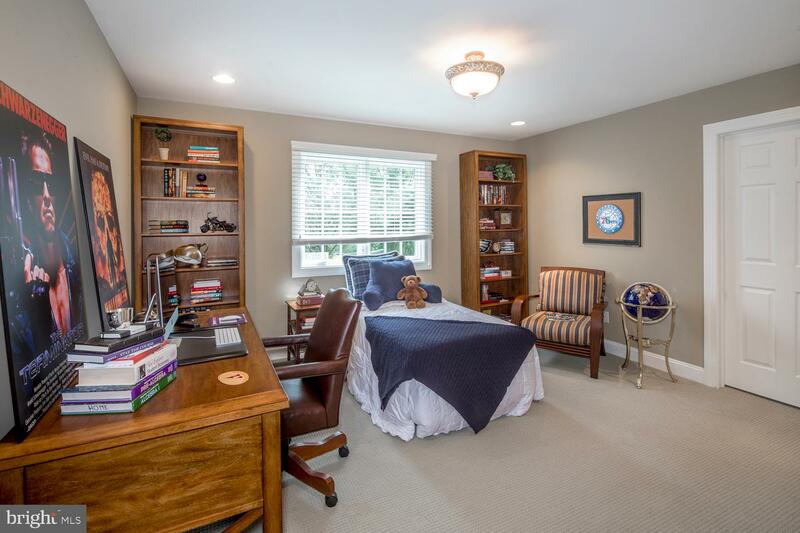 Manicured landscaping, mature trees & spacious grassy lawn optimize curb appeal. 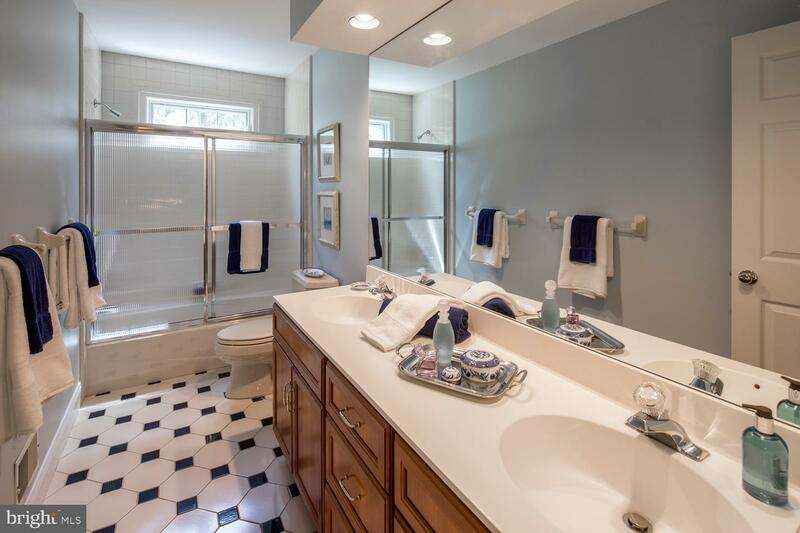 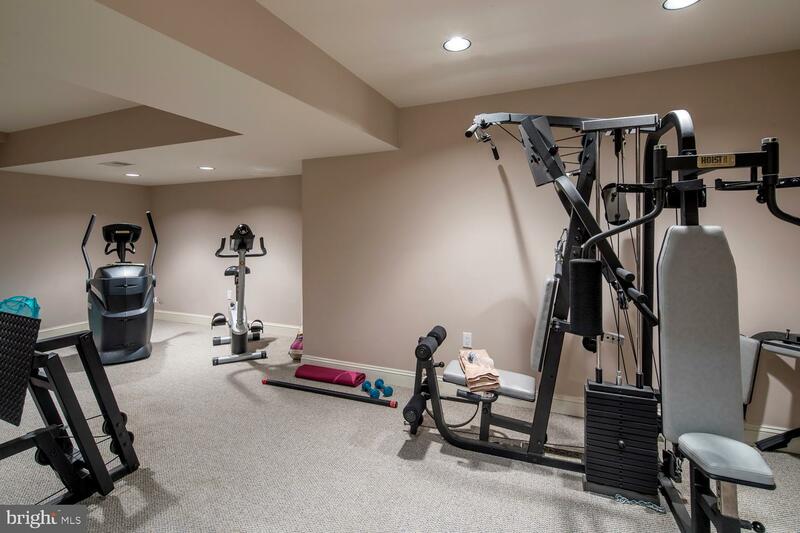 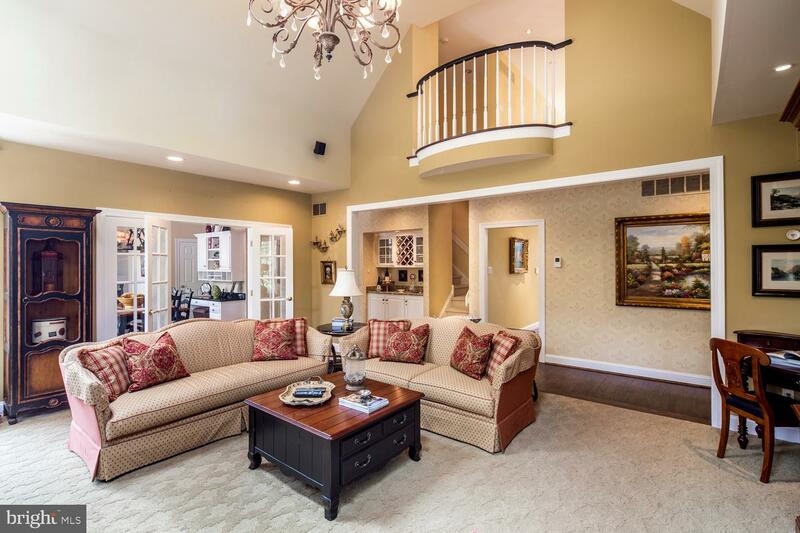 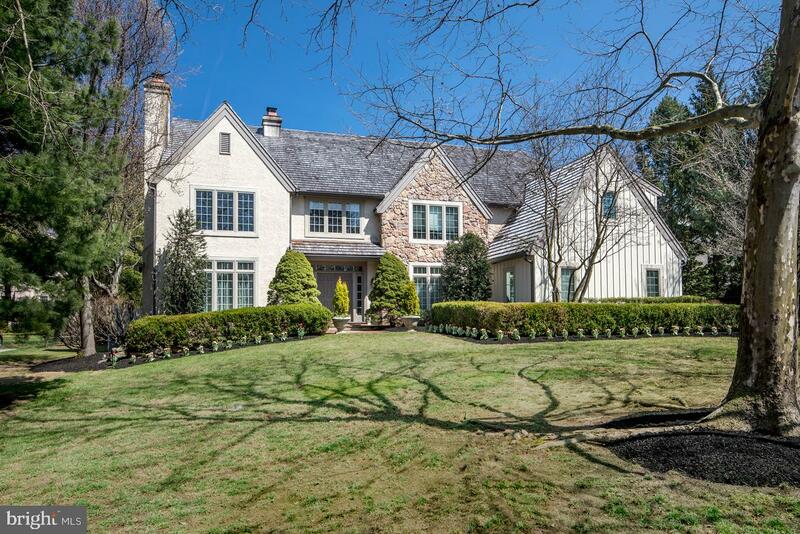 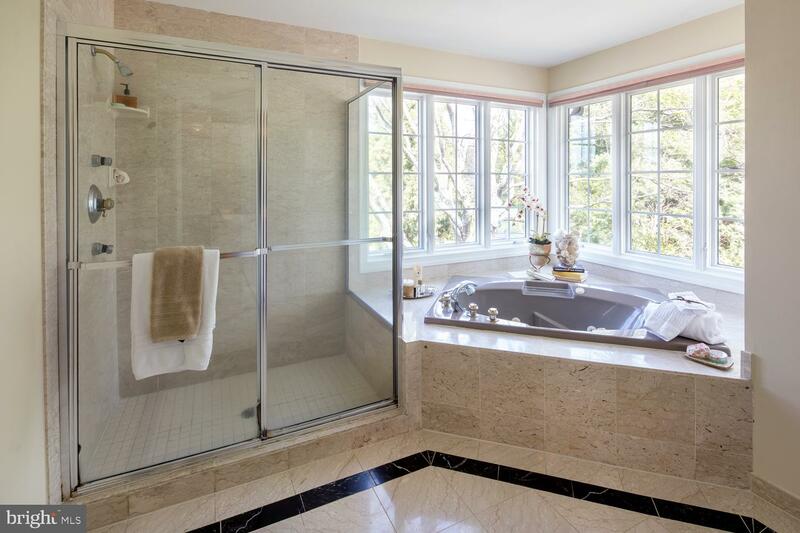 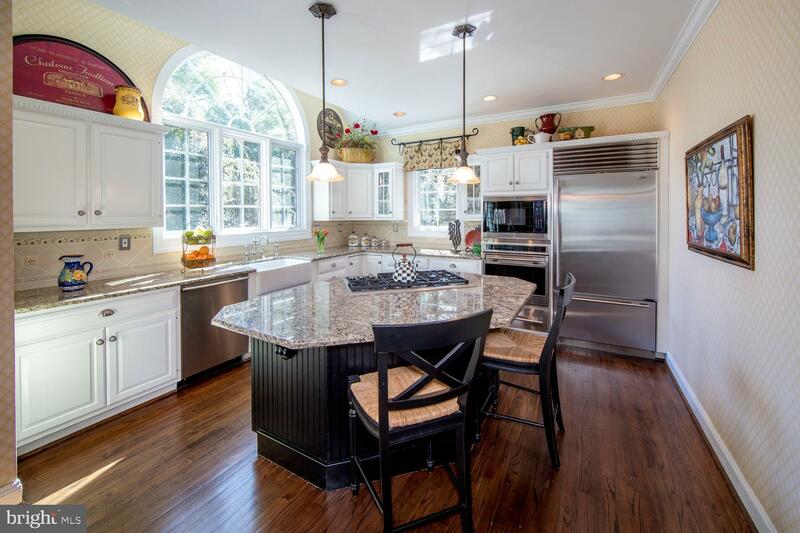 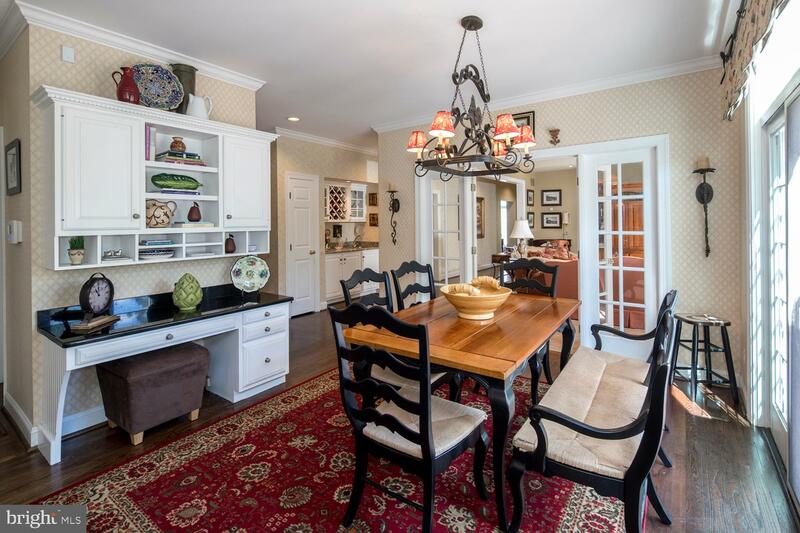 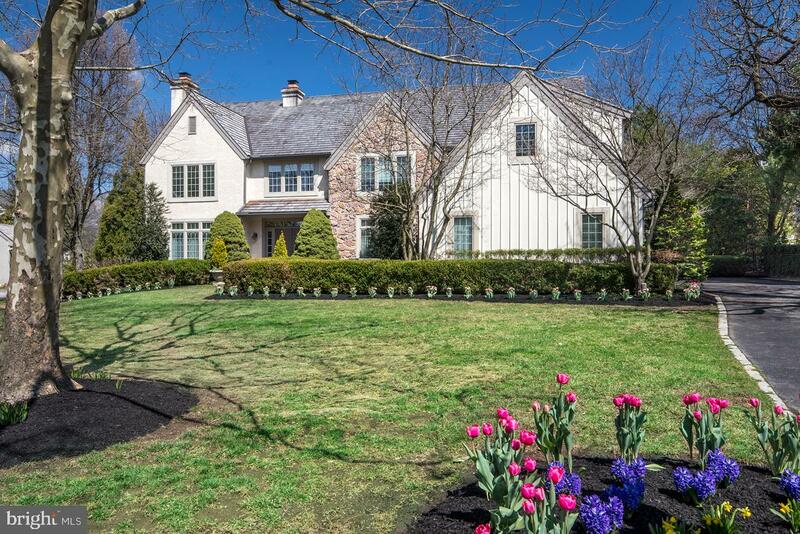 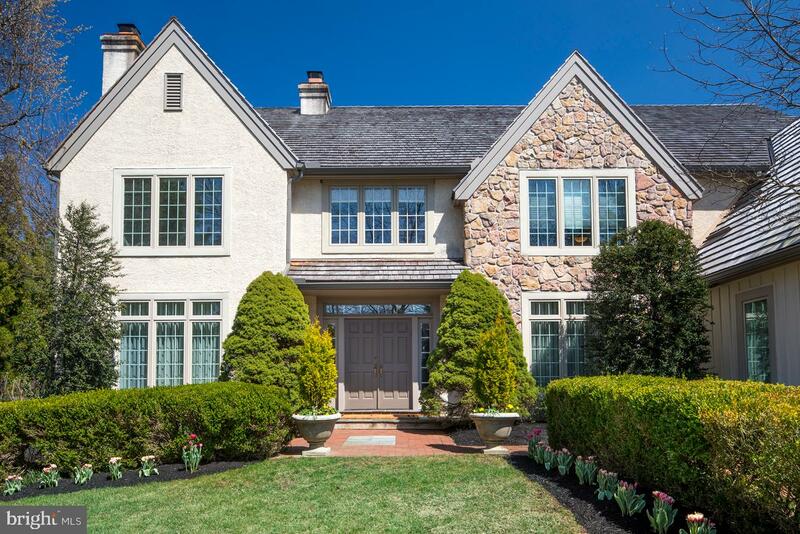 The neighborhood is all you~d expect from upscale Bryn Mawr, convenient to great Radnor schools, dining, shopping & all major roadways; while the quiet cul-de-sac location affords the privacy you seek. 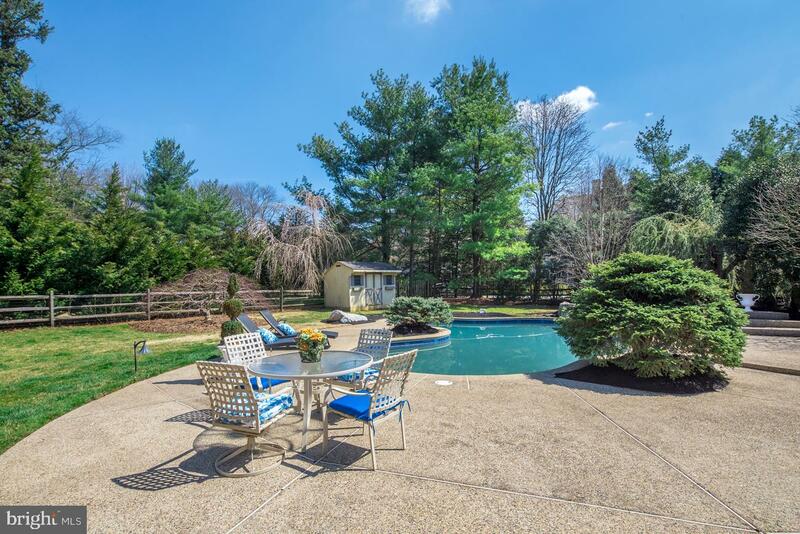 The piece de resistance is the fabulous backyard, an oasis privatized by trees, highlighted by a newly-renovated heated pool with spa & new equipment. 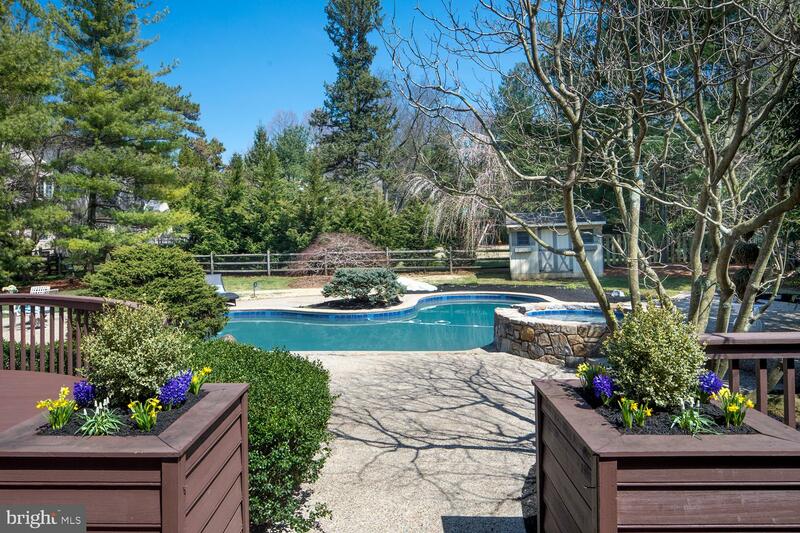 The expansive deck overlooking the pool & greenery provides a peaceful outdoor retreat & perfect backdrop for entertaining. 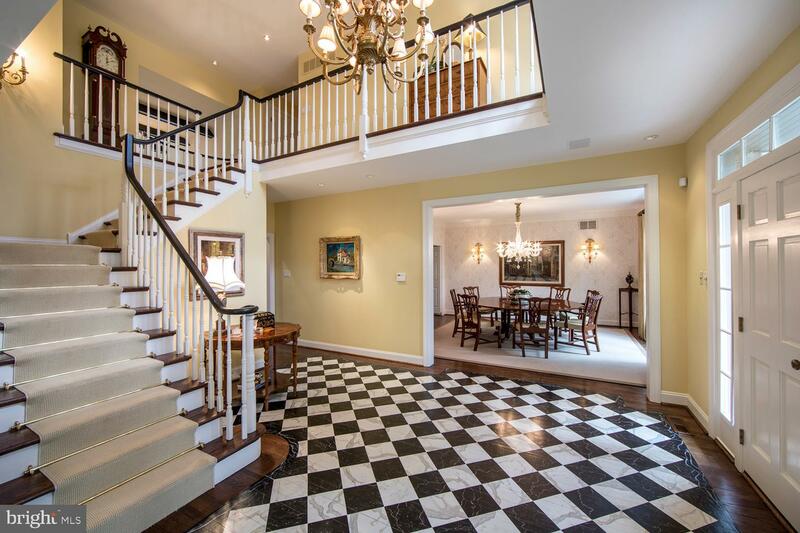 Residents & guests are received in the double-height foyer with decorative painted wood floors, grand staircase, and wide openings to formal living & dining rooms. 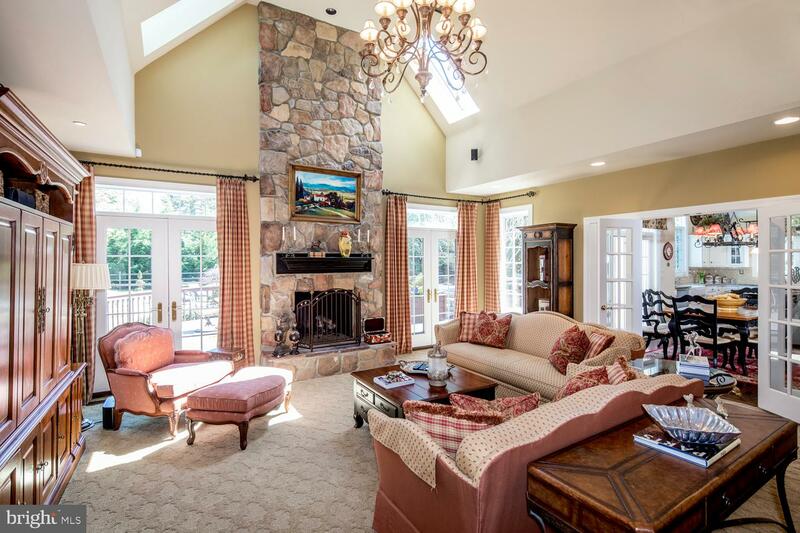 Relax by the wood-burning fire in the living room, enhanced with pretty views through windows on corner exposures. 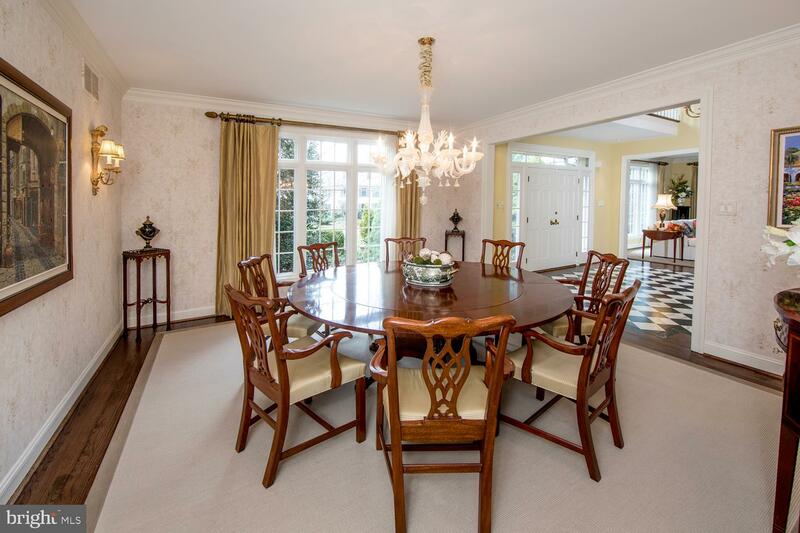 Sit-down dinners are comfortably elegant in the dining room with a huge picture window. 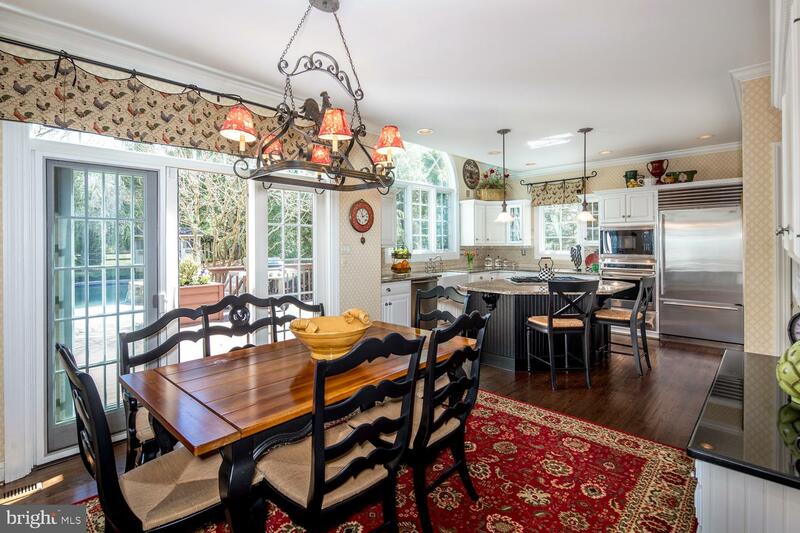 Seamlessly connected is the light-bathed breakfast room & kitchen appointed with granite countertops, Wolf & Sub-Zero stainless-steel appliances, an island & built-in workstation for doing bills and homework. 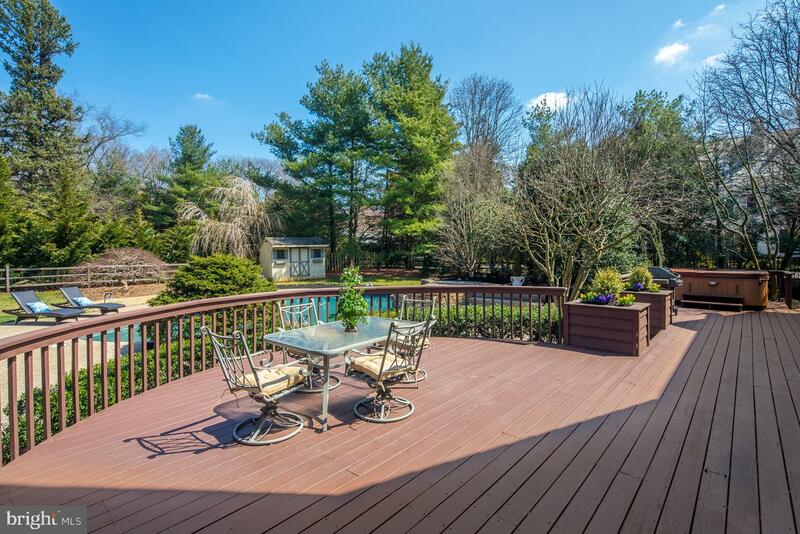 Sliding glass doors lead out to the generous deck that enjoys plenty of use in season! 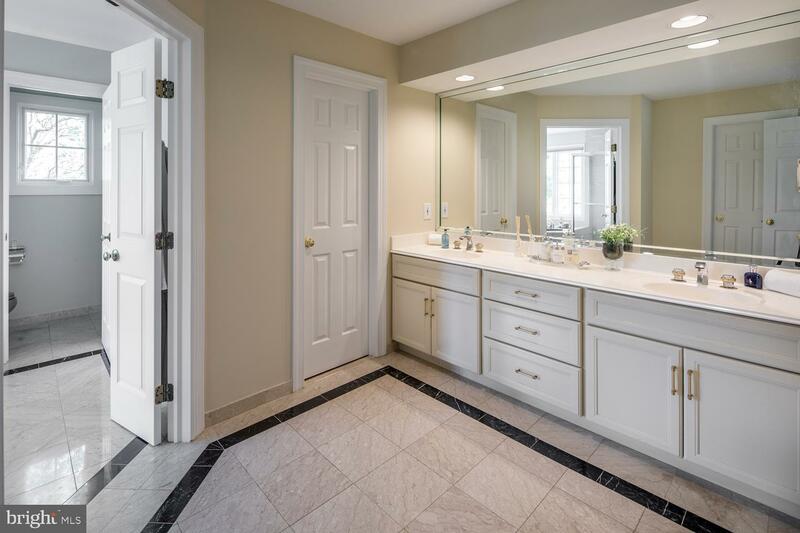 The gracious flow continues to the heart of the home, an open family room with soaring vaulted ceilings, exposed beams, skylights, floor-to-ceiling stone gas fireplace, built-in wet bar, and sets of French doors to the deck & pool. 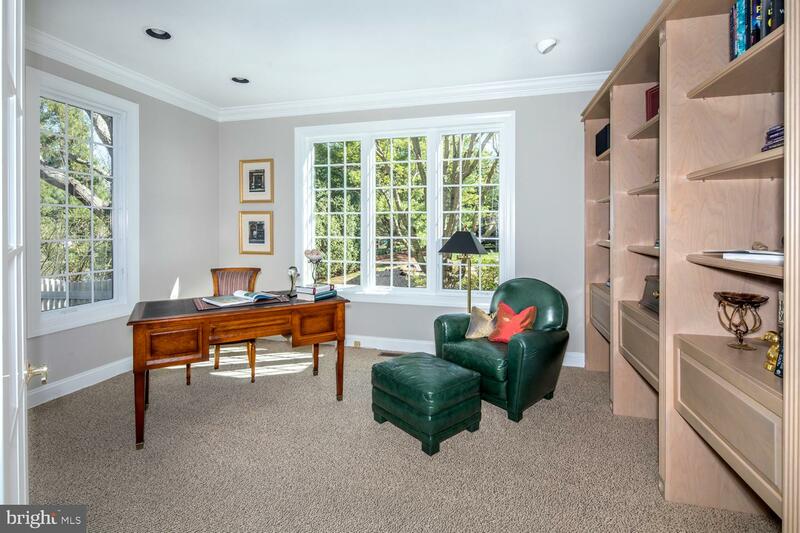 An office, 2 powder rooms, mudroom with built-ins, rear stairs & access to the 3-car garage round out the main level. 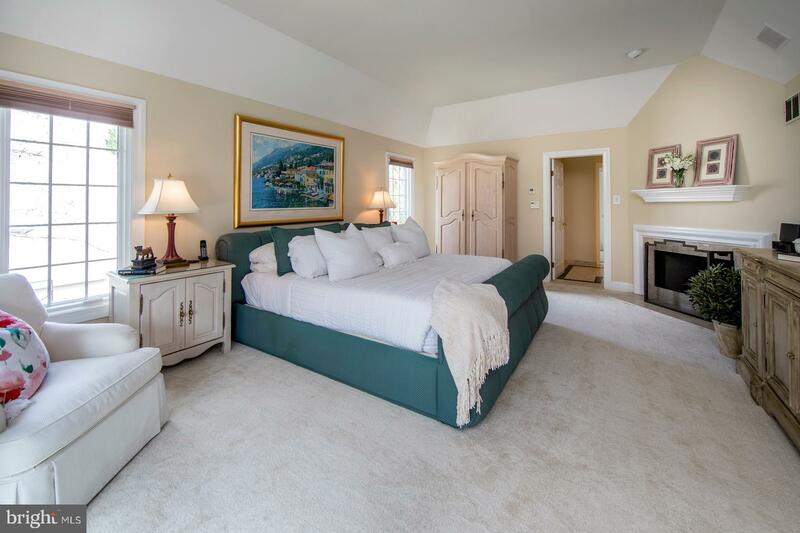 Unwind upstairs in the large master suite with high ceilings, picturesque views, a wood-burning fireplace, walk-in closet, and luxurious master bath with jetted tub & oversized shower. 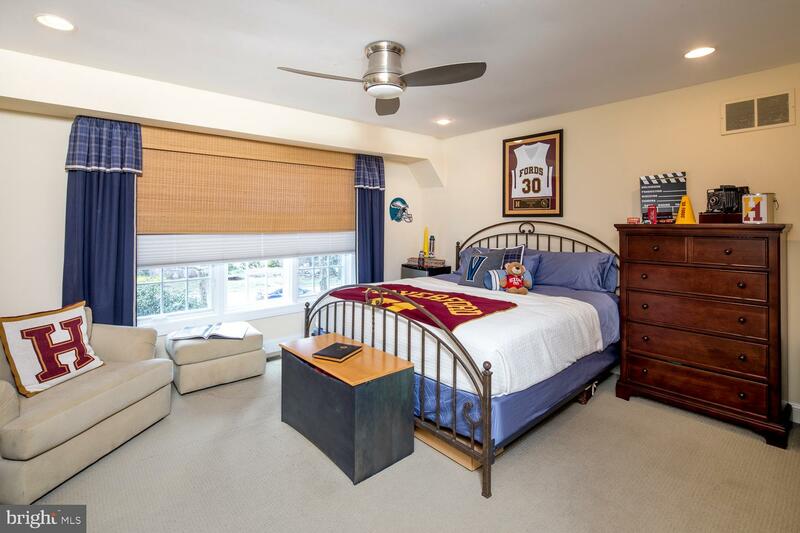 4 additional bedrooms with large closets & 2 full baths await your family & guests. 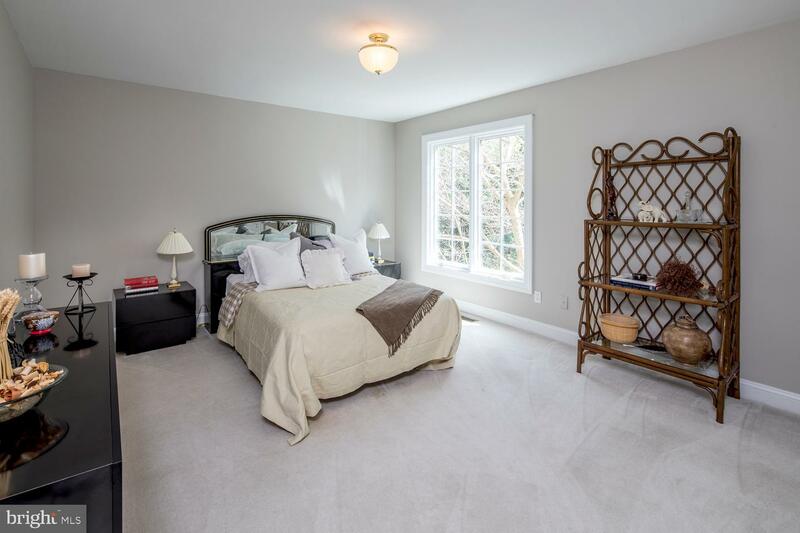 Bed 2~s attached sitting area/office could become a 6th BR if needed. 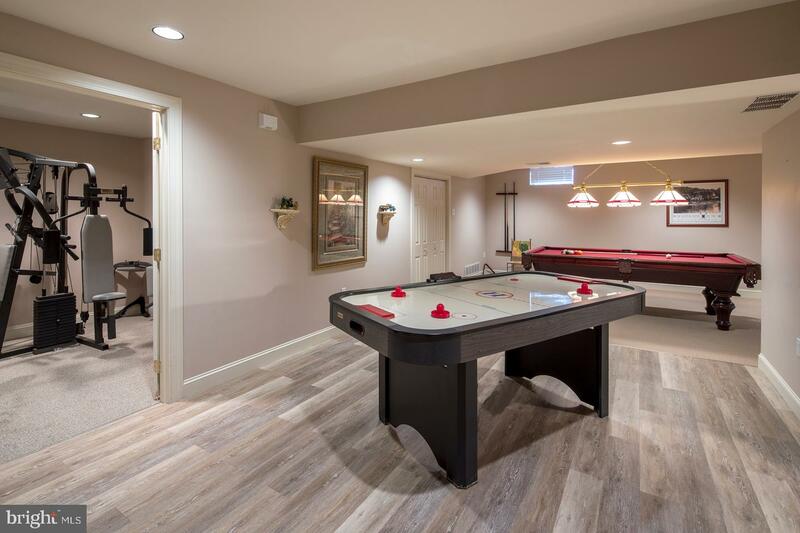 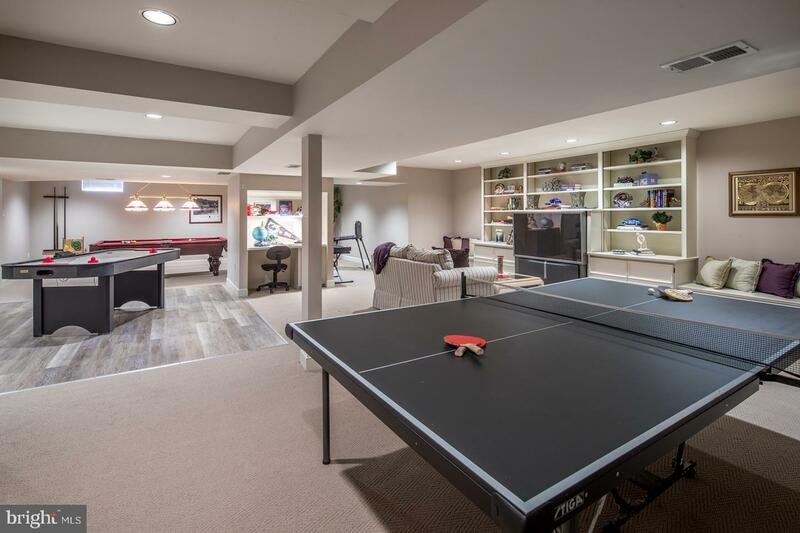 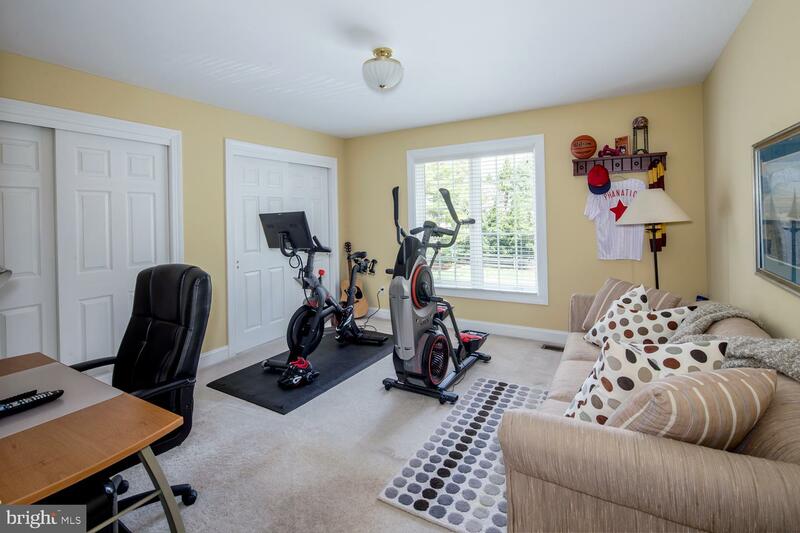 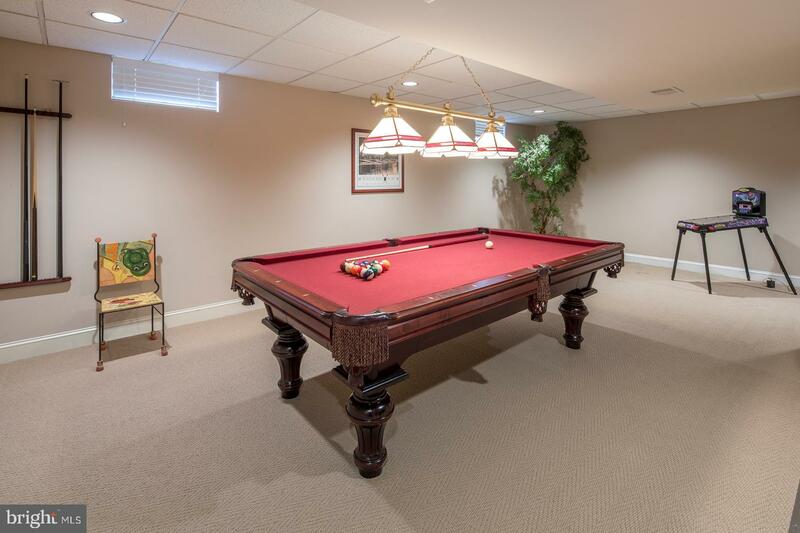 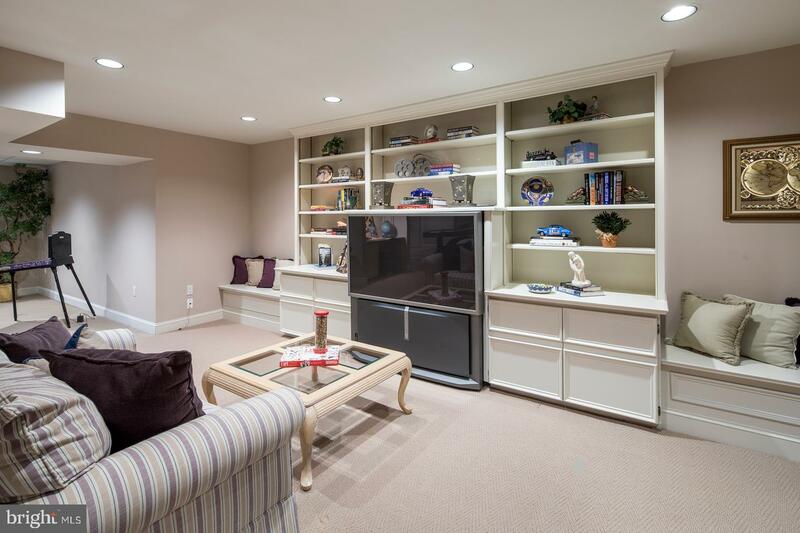 There~s also 2nd floor laundry, nicely finished lower level for kids & adults with plenty of room for media, billiards, ping-pong & gym equipment, whole-house generator, new HVAC & water heater, water purification system & more! 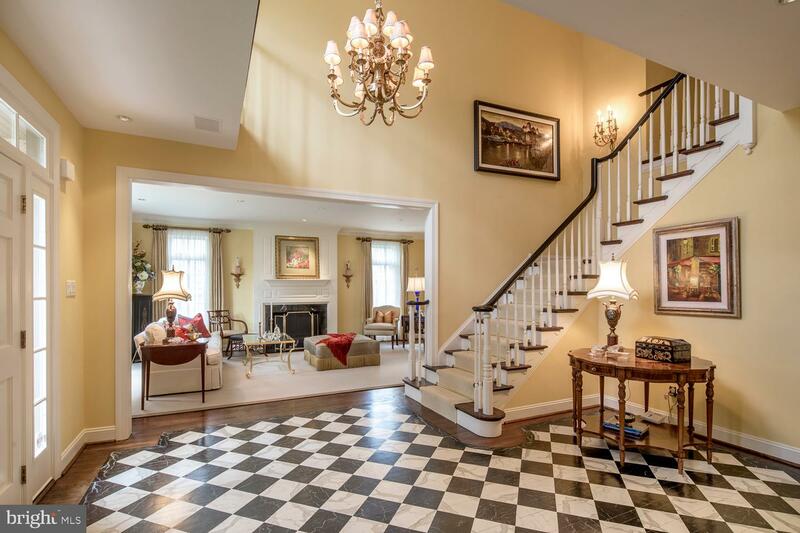 All you could want is here in this well-appointed family residence!